Chinese President Xi Jinping is traveling this week to the United States meet with President Trump on Thursday and Friday, April 6th & 7th. He is not coming to negotiate diplomatic policy with Mr. Trump as is reported in the main stream media, that was done very long ago with Republic representatives and finalized this past weekend in Asia where Speaker Paul Ryan secretly visited without detection (former President Obama was also in attendance). No, President Xi Jinping is arriving in these United States to roll out the long awaited restored Republic of the United States and mercifully end "Trump-A-Palooza" for the entire world, as Jinping is the legacy son of a sovereign Dragon family. He second appearance on US soil quietly marks the end of the USA, Inc. as well as beginning of the Republic of the United States, which now has been implemented and guaranteed twice the indigenous human families of the world contributing to the global collateral accounts (or ancient sovereigns of color). The embarrassment to America that is Donald J. Trump, i.e. the permanent orange stain on American political history and unclean able disgrace to democratic elections everywhere, has finally been deemed successful and/or complete by the Chinese, and as a result must now end in favor of Chinese/Russian pre-selected leadership. This new chapter of American history will be lead by Speaker Ryan, who was inserted into the main policy control position back in October 2015 when then Speaker John Boehner suddenly resigned by request of Pope Francis during his September visit, and then Congressman Ryan "hesitantly and with reservation" accepted by unanimous vote the daunting task of creating a better way for America as the House of Representatives new Speaker of the House. This is also why President Jinping is not staying in Trump's Mar-A-Largo hotel property this week, nor visiting the ill-fated US President any more than required to fulfill photo ops for the traveling international press pool. China simply refused to give President Trump a formal White House visit because they knew the end result of his presidency, which is resignation by disgrace o avoid impeachment for treason, with amnesty given by Speaker Ryan as he is elected President by two thirds of Congress. So as the Trump scandal balloon continues to inflate over the eye covering next several hours and days, and after the Chinese delegation leaves on Friday (and Judge Neil Gorsuch is confirmed as the next US Supreme Court justice, thus guaranteeing a conservative majority bench), the Republic of the United States will again be deemed ready to rule by Chinese Elder families who control the vast majority of the world's tangible wealth in many refer to as the Global Collateral Accounts or Matrix Funds. Also, the long awaited financial and policy changes necessary to bring stability and equality (plus sanity) back to American politics will be implemented, as well as international revaluation of the US dollar on a level digital play field as all currencies of the world are reset to their true and organic values based on their nation's in-ground natural resources and above ground reserves. What's even more interesting than all of this, was how Obama began purging the US Military Complex of toxic elements committed to not letting this week happen, by firing over 200 Zionist placed generals and commanders. For to accomplish a coups d'etat of another country, be it a public or private attempt, a invading nation must first gain control of its rivals domestic military, and then keep it in line--in this via finances--so that future warfare cannot successfully be waged. This is why countries such as Vietnam, Afghanistan and Iraq's had their currencies devalued immediately after they were invaded by occupying armies (in each case the United States of America). Also worthy of note, this is not the first experience President Jinping's first time transitioning governments in the United States since he's been in office. Actually, he's made such a bold move twice. 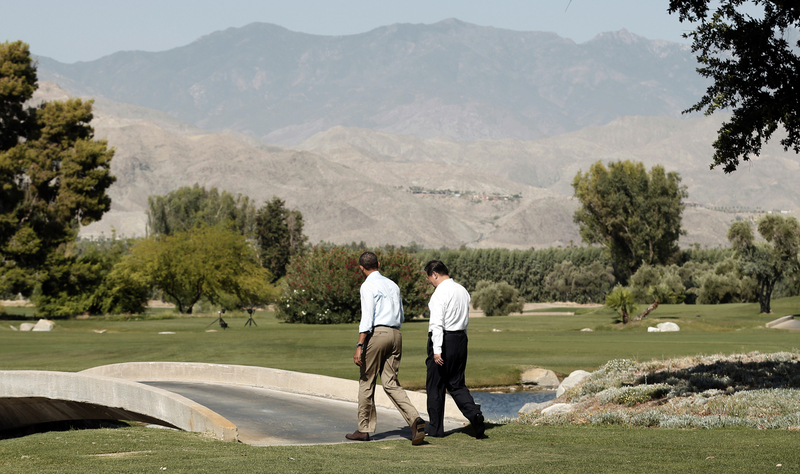 He also met then President Obama back in the early fall of 2013 on Sunnylands Ranch in Rancho Mirage, California to discuss for 8 hours over two days the legal bankruptcy proceedings and ultimate surrender of the United States of America Corporation to its major creditors (BRICS yes, but really China & Russia as they own the vast majority of defaulted UST bonds and USD currency globally, and did so knowing they would eventually get to this transitional moment of resetting governance, military, diplomacy and finances in and for America). The same drama is playing out again with the constantly under attack Trump Administration, as China is now ready finally roll out the full Republic strategy, explain to it's new leadership and yes introduce a new currency called the USN (cash and coin) & TRN (digital central bank credits) which are both valued by gold. Look for Speaker Ryan to break away now from Trump's escalating treason scandals (a.k.a. Russian/Chinese exit strategy) and eventually re-introduce the gold standard for American money. Trump's many illegal and unethical relations of collusion, he felt need to get elected, are now being exposed for all the world to see, and in the process, the world will eventually have it's grand distraction to receive the much anticipated global financial reset. This is why Jinping decided to come to the states at this exact time, and not do so inside the White House--as the Chinese do not wish to publicly embarrass the American people inside of their much glorified House of Power, which sadly has been more like a House of Horrors for over two centuries now ever since the Chinese Elders authorized gold endowments in 1776 for the first Republic. But make no mistake, President Jinping is here to send a very clear and targeted message to any rogue nation that feels they can overcome all Asian Colors of the Dragon Family through covert deceit, treachery and warfare. It's wise to pay attention to how the much anticipated BRICS/AIIB power structure begins making its power known, and installs permanent change to when, how and why foreign and monetary policy is both brought to consensus and ultimately incorporated. Because now that the US military complex is no longer seen as an aggressive geopolitical physical threat, and the financial evil has been eradicated across the European Banking community to eliminate the fiscal threat, and all religious diplomatic tierney has been neutralized via the surrender of Israel after it's self-proclaimed 70 year reign of terror circa 1948, there is nothing man made left obstructing long-term and sustainable peace, prosperity and progress on the face of the earth anymore. Meaning, the restored Republic of the United States will this week and once again take its rightful place among good standing sovereign nations of the world (209) at the newly reformed United Nations, as an equal not superior nation, with commonly pre-determined diplomatic treaties (GESARA, Paris Agreement) and with a hard asset audited value of their true financial holdings (GCR/RV). These are the times in which we live, and if you step back to look at the big puzzle pieces now snapping into place, they are sublime in the best imagined way by the grace and mercy of a benevolent Creator Father.